Memorial Day weekend isn’t just the traditional start of summer; it’s also the time of the annual California Roots Art & Music Festival in Monterey. 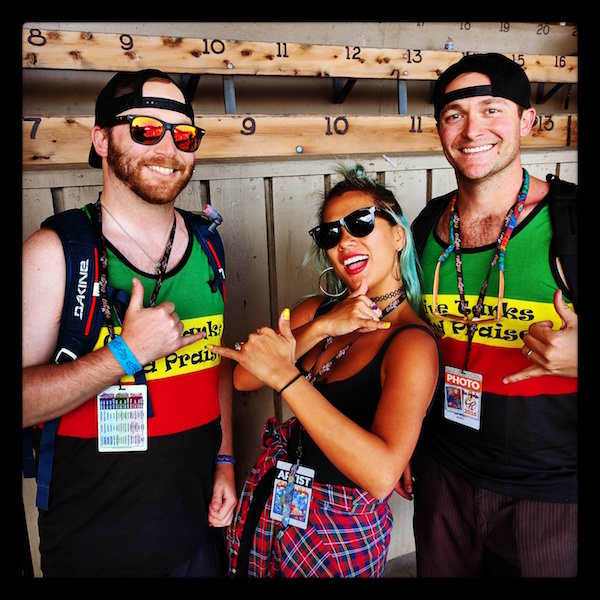 The 7th annual installment of this reggae based concert festival at the Monterey County Fairgrounds boasted perhaps the most loaded lineup yet, and it did not disappoint. But as we pulled up early Friday afternoon though something felt different. Crowds were a little bigger, lines a little longer, kids a little younger, and stages now had sponsors. Was this the end? Was the secret out? There were honestly no gaps on the bill and I could write about each and every show but, no one wants to read that much, so let me give you the skinny on the highlights of each day. First stop Friday, was the main stage called The Bowl [aptly named for this festival I know.]. Fan Favorite J-Boog took the early 230p slot and I’ve never seen the main infield so crowded so early on Day 1, a combination of the growing scene and an avid fan base. The Boog delivered a strong performance; though I can’t help feeling he would be better suited at a 6p sun setting slot to really put the people in the mood if ya feel me. Though to be honest he probably chose the early bidding to get it out of the way so he could hang out and enjoy the rest of the weekend which I respect as we saw his face on and off stage plenty through Sunday. He mixed songs old and knew with a one of a kind swag. Personal old favorites were ‘Sunshine Girl’, ‘Every Little Thing’ and new jammie ‘Good Cry’ off his most recent EP Rose Petals. As expected he closed down the set with his biggest hit ‘Let’s Do It Again’ with fellow CR performer and tour buddy Hirie assisting on vocals and even remixing in a little Justin Bieber ‘Sorry’. Although it didn’t really make sense, it worked and I must admit I like the Biebs so was a nice twist to an old standard. 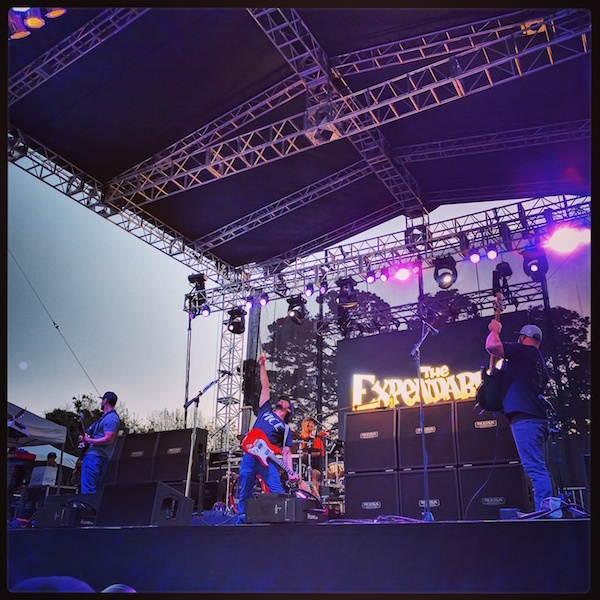 Having not seen them in almost 10 years, Friday’s other stand out for me was The Expendables. They played the 2nd stage at 8p warming up the crowd for headliner Slightly Stoopid to follow. And I must say the hometown favorites still got it. The group from neighboring Santa Cruz has a sound that’s pretty unique to this genre. They rock. Their blend of punk, surf rock and reggae is sublime. They seamlessly can turn it off and on even within the same songs. The guitar riffs and solos in songs like ‘Down, Down, Down’ and ‘Sacrifice’ even sparked the weekend’s only mosh pits. Though they were short lived and in good fun, bodies slamming into each other was a breath of fresh air to the crowd. Although they continue to make new music, the band seemed to know where their bread was buttered and stuck to old hits, with no complaints from this guy. They also were able to overcome muffled mics and levels that were off in general and powered through like true pros. Other highlights of their set include bringing up a random fan from the crowd and letting him play guitar on the romantic stoner ballad ‘Bowl For Two’, as well as rocking out a cool rendition of the Red Hot Chili Peppers ‘Under the Bridge’. As mentioned, Friday’s headliner was Slightly Stoopid. I have previously been critical of them for being sleepy just not really my jam. So let me be the first to say, ‘I’m sorry Slightly Stoopid!’. They lead one of the most energetic performances from them I’d ever seen, and gosh darn it they play a lot of songs I know every word of and actually really like ‘2 AM’, ‘Officer’, ‘Sweet Honey’. I don’t know where I lost the path but I am glad we’re back together and would gladly see them again! Enjoyed it so much I didn’t take many notes and just got lost in the sound, also we left early to fight the shuttle bus struggle but that will all be covered directly in my feedback card to the festival. All in all a great start to a great weekend that only got greaterest from there. Saturday, day 2 was supposed to be the down day with the bigger names bookending the weekend’s schedule but there was no rest to be had because it ended up being filled with great shows from start to finish. 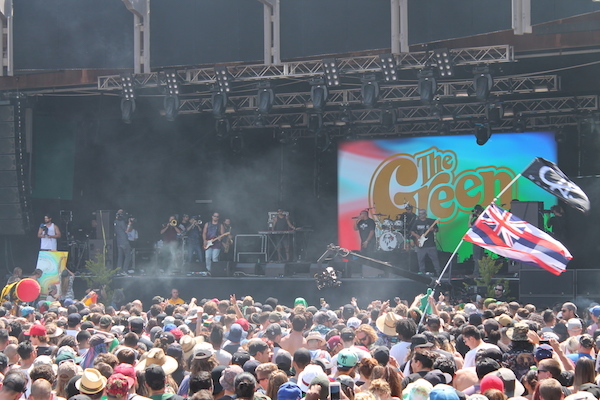 The Green came hot out of the gates with their Hawaiian styling and a light and fun set. 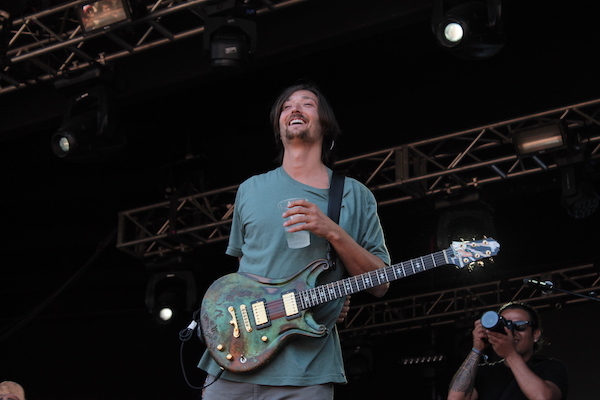 Their performance was highlighted by new music, one new jam featured Eric Rachmany of Rebelution on vocals, and perhaps the song of the summer ‘Mama Roots’ featured the aforementioned J-Boog. The crowd all seemed to have the same reaction after they were done and that was wow, we need to listen to en more. Pepper also performed Saturday sprinkling in their frat-tastic party boy image all over the second stage, and that was fun the same way fireball shots are fun. A little goes a long way and ya it’s fun but it’s also terrible. Was cool to see that they still go as hard they probably did 20 years ago. They closed with ‘Ashes’ which is my favorite song of theirs and I loved every second. Damn it, I’m such a sucker for them. Don’t ever change Pepper! The real Saturday storyline was the Marley’s! Stephen and Damian Marley both covered the main stage though separately. The half-brothers’ styles couldn’t be more different but are both unmistakably Marley. 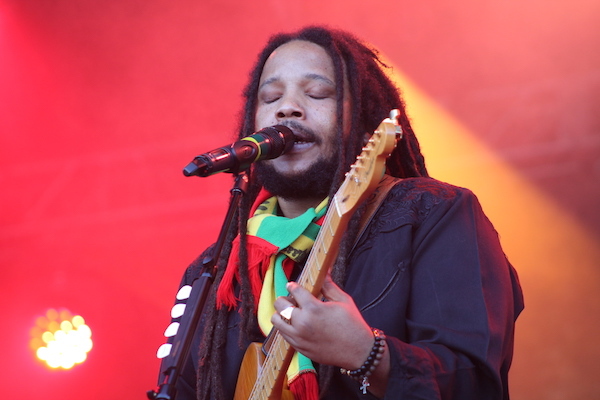 Listening to Stephen Ragga Marley’s set in the late afternoon had the good vibes and good times feeling of Bob’s Legend album and rightfully so as he covered many of those songs mixing in his own hits ‘Hey Baby’ and ‘Break us Apart’. Of all the Marley children [there’s eleven in all], Stephen’s voice is closest to his father’s and when one closes their eyes they can also hear and feel the same positivity and hopefulness echoing through. Damian on the other hand, his sound felt darker as he closed out Saturday night. The tone felt more rebellious, reflective of his dad’s strong social conscience that was never afraid to call attention to injustice. With the familiar Ethiopian Lion of Judah flag being waved constantly on stage through the show he had the crowd ‘Welcome to JamRock’ing’! Together the two shows covered all that was great about Bob. Stephen lit the torch to carry the legacy on and Damian Jr. Gong burnt one down. Though very different nothing but one love for the brothers Marley at Cali Roots! Sunday, Sunday, Sunday! Oh where to start?! Sunday’s lineup was straight fyah. Stick Figure to Protoje to Tribal Seeds to Michael Franti and closed out by headliners Rebelution! I’m not sure I could put together a more perfect lineup. Tribal Seeds and Stick Figure I have written about before and are both just so damn good that their respective sets were nowhere near long enough to cover all the fan favorites in their respective catalogues. 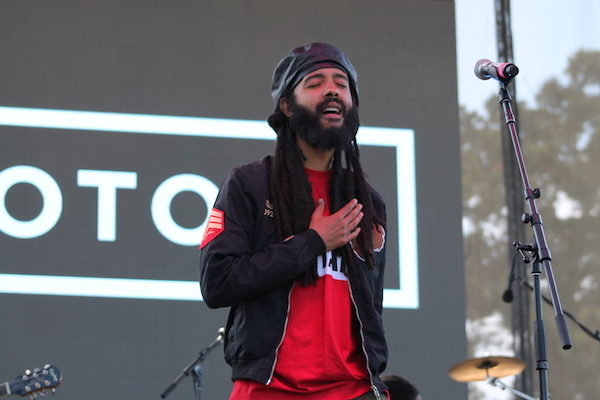 Protoje who was a relative unknown to most prior to Cali Roots definitely made an impression and was a major highlight on a day full of them. His upbeat, quick tempo style was definitive dancehall reggae at its finest. It would be like if Shaggy actually had talent. Sorry, Shaggy, it wasn’t me. Look up his hits, ‘Who Knows’, ‘Kingston Be Wise’ and ‘Ja’ for a tastes of what I’m talking about. Very well could have been the most memorable show of the weekend on the second stage. Could have. But it wasn’t. That’s because Michael Franti slayed it yet again. I really didn’t think he could top last year’s performance but then he goes and climbs up in a tree in the middle of the crowd and kept playing without missing a beat. Armed with new music from his new album SOULROCKER he did just that and rocked the crowd’s soul. His lyrics are so positive and genuine that you want to be a part of it and he lets you. With the beach balls bouncing in the crowd and the little kids with face paint being pulled on stage to sing along, it felt more like a Disney movie than a concert. We’re all just Timon and Pumba to Michael Franti’s Simba. Just thinking about that performance still gives me chills and simultaneously gives me hope for a better tomorrow. 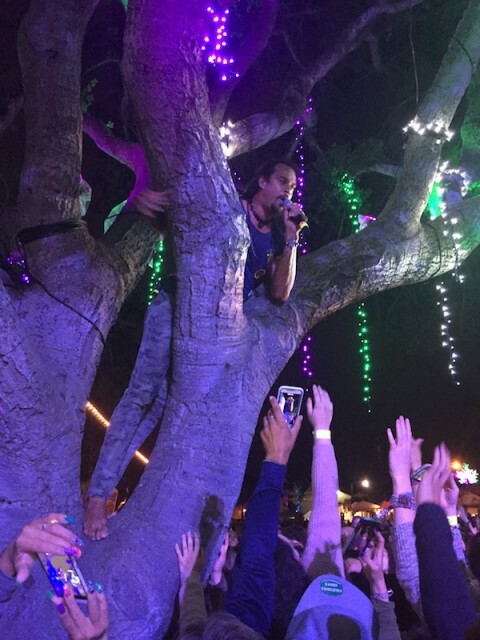 There’s only one way to see and experience Michael Franti’s music and that is live, and in a tree if possible. After all that and we still have Rebelution to close it all out? Is this real life? A personal favorite that I have seen grown from playing backyard bbq’s and dive bars was now headlining the main stage on the biggest of all days at the best Cali Roots yet and they lived up to and deserved every second of it. Also, coming with an arsenal of new music from their album Falling Into Place. The short eleven track release comes preloaded with hits that are so quintessentially Rebelution that they fell right into place in their set on Sunday, even opening up with new song ‘Know It All’. They also worked in my favorite new one ‘Lay My Claim’ and herbalist friendly ‘Inhale Exhale’ to their set. Normally I hate when bands lean on concerts to force feed their fans new music, but not this time. The new music was part of a feeding frenzy and the crowd ate up each last note. The hour and a half set flew by and they could have played for another 90 minutes. They had the crowd in the palm of their hands and not a soul left until the very end, not wanting this show or the weekend to end, but what a way to go out. California Roots you did it again. This was most definitely the best festival yet. I was worried that it had gotten too big, that it might’ve outgrown itself and its venue. That wasn’t the case, it was still about the music, good vibes and great people. Cali Roots didn’t outgrow anything, it just grew up. Let the countdown until Memorial Day 2017 begin! Jah Bless and Give Tanks and Praise! This entry was posted in festival, music, new music, party, shows and tagged 2 am, ashes, bob marley, bowl for two, break us apart, cali roots, california roots, damian marley, down down down, eric rachmany, every little thing, falling into place, fireball, good cry, hawaii, hey baby, hirie, inhale exhale, it wasn't me, j-boog, ja, justin bieber, kingston be wise, know it all, lay my claim, legend, let's do it again, mama roots, memorial weekend, michael franti, monterey, monterey county fairgrounds, officer, pepper, protoje, punk, ragga, rebelution, red hot chili peppers, reggae, rose petals, sacrifice, santa cruz, shaggy, slightly stoopid, sorry, soulrocker, stephen marley, stick figure, sunshine girl, sweet honey, the expendables, the green, tribal seeds, under the bridge, who knows. Bookmark the permalink.